A growing number of adolescents are going untreated for major depression nationwide over the past several years, warranting enhanced educational, policy, and service capacity efforts, according to a new Rutgers University–Camden study. 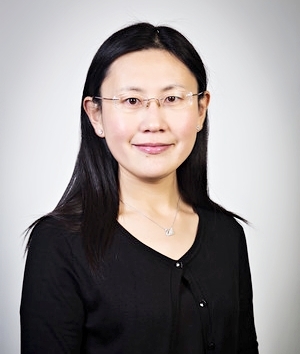 Females, older adolescents, and those from single-mother households may be at greatest risk of depression among adolescents ages 12 to 17 nationwide, says Wenhua Lu, an assistant professor of childhood studies at Rutgers University–Camden, who conducted the study. “Data also shows that adolescents with less authoritative parents are especially susceptible to major depression and less likely to receive treatments and medication,” says Lu. The Rutgers–Camden researcher examines the national trends in the prevalence, risk factors, and treatment of depression among adolescents, and investigates disparities in their mental health service use in the United States, in her new study to be published in the January 2019 issue of the American Journal of Health Behavior. Lu analyzed data for adolescents ages 12 to 17 years who participated in the annual, cross-sectional National Survey on Drug Use and Health from 2011 to 2016. Adolescents participating in the survey had answered a number of questions to assess major depression, treatment for depression, parenting styles, school experiences, and sociodemographic factors. Lu found that the prevalence of adolescents’ depression increased steadily each year during the time period studied, however, their overall use of mental health services remained unchanged. Moreover, says Lu, while having less authoritative parents decreased adolescents’ chances of using treatment and medication, negative school experiences significantly increased the likelihood that they would use health care services. The Rutgers–Camden researcher concludes that an increasing number of adolescents are not being treated for depression, warranting enhanced educational, policy, and expanded service capacity efforts.